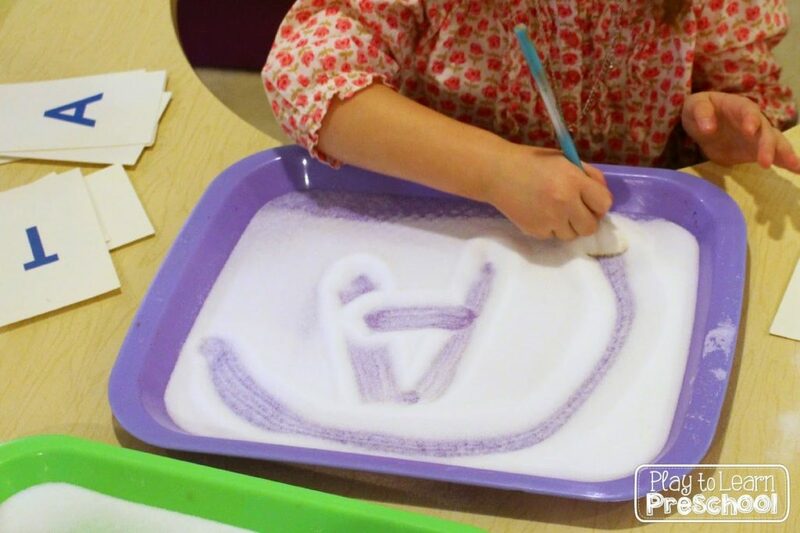 It is so important that our preschoolers practice writing with lots of different materials and utensils. They found these salt trays to be irresistible. 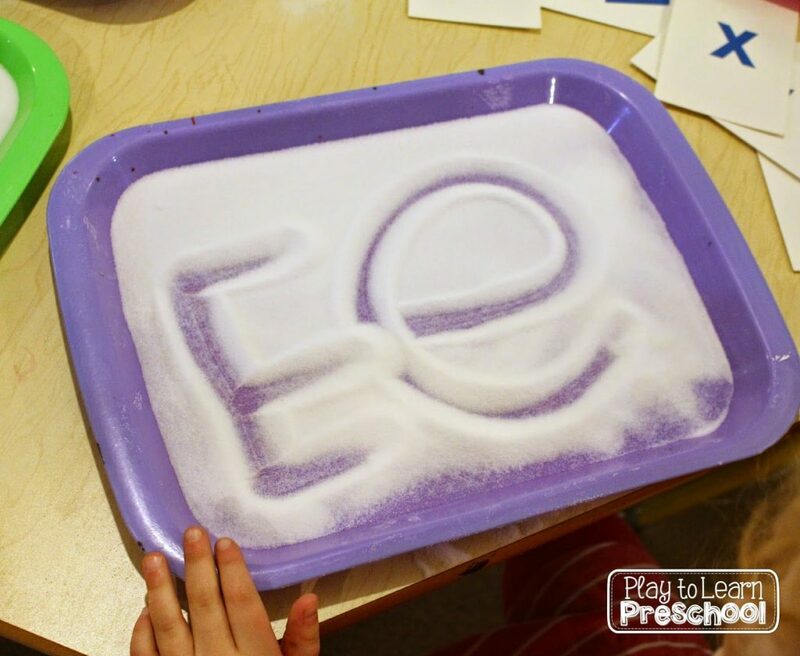 To set up the center, we placed a set of alphabet flash cards (as a model) next to shallow trays of salt. 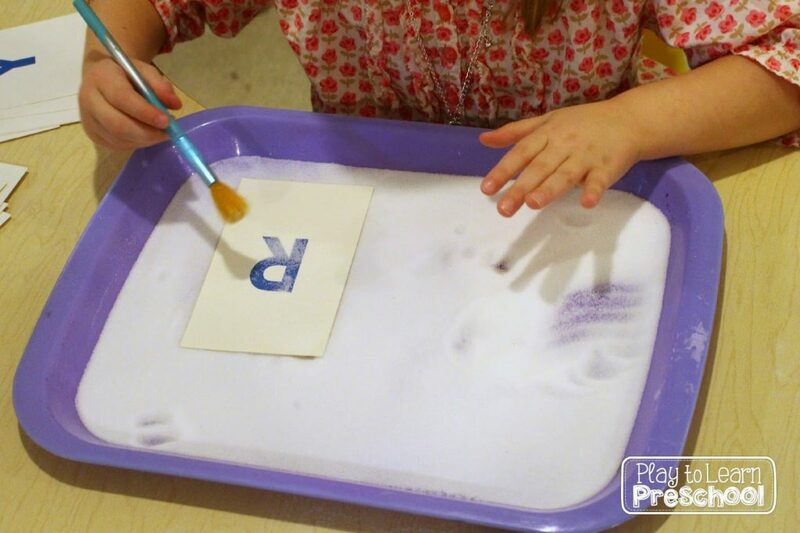 The students could choose to use a paint brush or a popsicle stick to write. 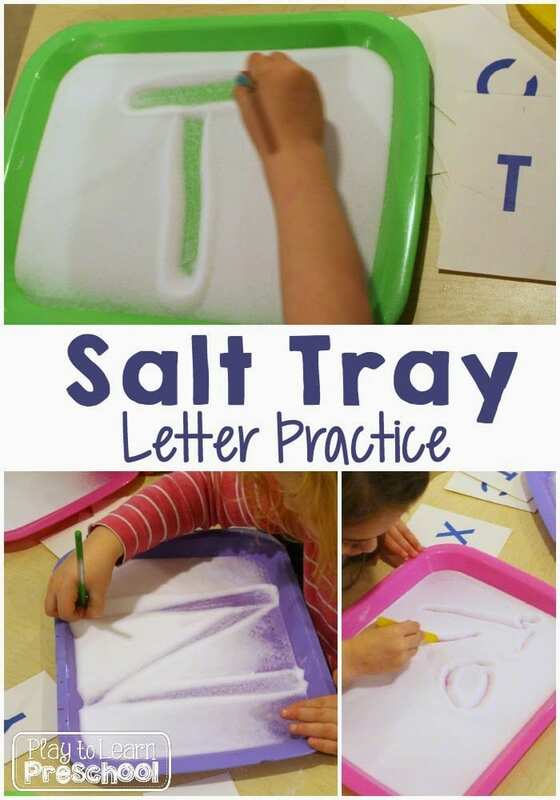 The sound and feel of the salt on the trays is fun, so in addition to writing letters, we had a few friends draw other pictures and spend time touching it. where did you get these trays?